A team of skilled lawyers dedicated to smart, aggressive and strategic advocacy. RLF focuses extensively on financial and banking institution transactions and disputes making this sector the core area of the firm’s practice. 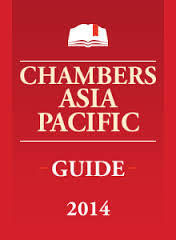 Because of experienced Banking Lawyers at the firm RLF has been recognized by Chamber 2012 and 2011: Asia Pacific as the leaders in this Sector. Nepal’s unpredictable financial markets and unfavorable economic situation force financial and banking institutions to face significant strategic challenges as they strive to achieve the returns anticipated by their stakeholders. Therefore, a dedicated banking and financial Lawyers at RLF has been assisting and advising Leading Banking and financial institutions across the Country to help them foresee and organize for the challenges brought by the changes, both in terms of their own organizations and in terms of the services they offered by them. RLF has represented some of the largest Commercial Banks of the country including Nepal SBI Bank, Nabil Bank, Rastra Banijya Bank, Ace Development Bank, International Development Bank, Bank of Kathmandu, Lumbini Bank, Sunrise Bank etc. We are proud to be Nepal’s leading specialists equipped to handle and facilitate complex foreign investment and joint venture transactions. Our distinguishing factor being, our solution based approach which in turn helps us to provide you with expert advice keeping in view domestic and international dimensions. We have advised major corporate entities in the arena of corporate finance, investment, joint venture agreements, negotiations, disinvestments, takeovers, commercial contracts to name a few. Our expansive client base including internationally renowned corporate conglomerates, individual entrepreneurs as well as private corporate houses who have helped us to come up with cutting edge solutions to provide high quality services in this sector. We provide solution integrated advice on issues concerning transactions across all industries. Our lawyers have successfully enabled us to deal with domain and sector focused complex legal issues in M&A transactions. The Firm handles a full range of M&A transactions including Mergers & Amalgamations, acquisitions, demergers, disinvestment of assets, shares and industries, reconstructing assets to maximize profits and minimize capital investments, privatization, buy-outs and international commercial/non-commercial contracts. We have closely associated ourselves with a group of excellent lawyers and other experts which assists us in providing seamless advice. Our firm being one of the foremost in the country on Capital markets and Securities we are accustomed to all activities covering the entire range of areas under this spectrum. From the allotment of initial shares as well as offerings in the market to due diligence, restructuring, reorganization of assets, issuance of equity shares we have been recognized and retained by our clients for our dedication to meet the demands of our clientele keeping their best interests in mind. From construction of individual buildings to commercial complexes, roads, power plants bridges, hydro power projects we have stood by our clients in negotiating, drafting and advising them on specific laws and by laws, clearances in relation to any construction and development. We were also involved in advising and representing the ADB funded project on building codes. In the matter of Litigation our firm stands to none other, with the experience of handling Hundreds of civil and corporate cases through which we have sustained and diversified our practice over time. Our core team focuses on representing our client’s best interest before judicial and quasi judicial bodies at all levels. We maintain a strong presence in the arena of Constitutional Law, Company law, Banking Law, Public procurements to name a few. Under the guidance of Mr.Shakya our firm has had an opportunity to be a part of landmark constitutional cases in Nepal’s history which includes the dissolution of the Parliament Case. Firm’s one of the specialized practice is focused on Local and international Commercial Dispute resolution handling big claims in Nepal including the dispute between Impro Housing and Comfort housing, ACE Development Bank and Himal Power Ltd., Infotech Mumbai and Nepal Rastra Bank, East West engineering Service and The British School to name a few. We have handled numerous conciliations Negotiations, Mediations and other forms of ADR before various judicial and quasi judicial bodies. Our presence and impeccable insight into this particular area of practice has helped us advice and settle the disputes of renowned domestic as well as international corporate entities. We have consistently maintained a strong presence in the field of Commercial Arbitrations and with the help of specialized experts in the arena we will continue to do so. Our expertise in law has helped us venture into areas of law that are considered focused field of study. We are very proud of our long standing relationship as legal advisors and strategists for the Major Airlines Corporations of the country. With Sr. Advocate Purna Man Shakya who has had immense experience in this field by serving country’s first and the oldest Airlines company Nepal Airlines Corporation as a Legal Advisor for number of years, the firm undoubtedly has left a mark in this field. We have handled all matters related to the domain of civil aviation which includes Fuel purchase agreements, restructuring and reorganization of airline companies, contract of service, Debt financing of airline companies, aircraft recovery deals, fleet wise maintenance agreements, Engine overhaul agreements, Aircraft lease agreements etc. Senior Advocate Purna Man Shakya worked as a local advisor to foreign ATR aircraft Vendors selling their aircrafts to Various Nepalese Airlines. We at the RLF leave no stone unturned to expand our expertise beyond the general area of practice. Intellectual property being one of the fastest growing areas of law, we have a group of dedicated experts with a deep passion and understanding of the subject thus helping us to be one of the first firms to make a foray into the practice of intellectual property as well as become a one of the leading practitioner in this area of law. Our years of experience in the legal arena has helped us understand the intricacies of the subject, our global exposure has elevated us to a level from where we have been able to guide and assist the framing of national and international policies for government and non government entities working in specialized sectors. We have been instrumental in the drafting policies aimed at the growth and development of the agricultural sector in consonance with the World Bank, we have drafted the hydro power policy aimed at maximizing the utilization of water resources of Nepal, we have been instrumental in drafting the building code to regularize urban development in collaboration with Asian Development Bank (ADB). By virtue of our expertise and experience we have been one of the few law firms to be appointed to draft various legislations of our home country including the Ancient Monuments Preservation Act, Decentralization Act, Poverty Alleviation Act, Rural Water Supply and Development Board Rules etc. We are a firm that believes with development comes social responsibility. We aim at meeting the demands of the contemporary era sustainably. Our firm is committed to the environment and its protection. We have played as an active participant through rendering advice, consulting, representing, drafting and understanding environment guidelines and regulations for the government of Nepal. We have guided and advised various corporate bodies including Hydro Power companies on their Environmental responsibilities and have assisted them on compliance of the same. RLF with its expertise and experience in this field played a pivotal role in drafting EPA (Environment Protection Act) Guidelines, EIA( Environment Impact Assessment) Guidelines, Environment Protection Act and Rules. Our Labor law practice has touched remarkable heights under the expert guidance of Mr. Yagna an affiliated member of the Federation of Nepalese Chamber of Commerce (FNCCI) and one of the most sought after labor law practitioners of Nepal. He was actively involved in drafting and framing of regulations governing labor laws in our country. With hands down experience of more than 15 years in labor law dispute resolution Mr.Yagna understands the intricacies of the various legislations governing labor and industrial laws thus making us one of the foremost firms in this particular area of practice. RLF has successfully handled numerous labor disputes and has advised various organizations in this area of Law. We at RLF are delighted to welcome outstanding legal professionals who wish to join our Firm in its varied practice areas. RLF has a rich culture that recognizes, cherishes and nurtures excellence and teamwork .